We’re about six months out from the release of DreamWorks Animation’s The Croods, the studio’s tale about a prehistoric family unit trying to adapt to a changing world. 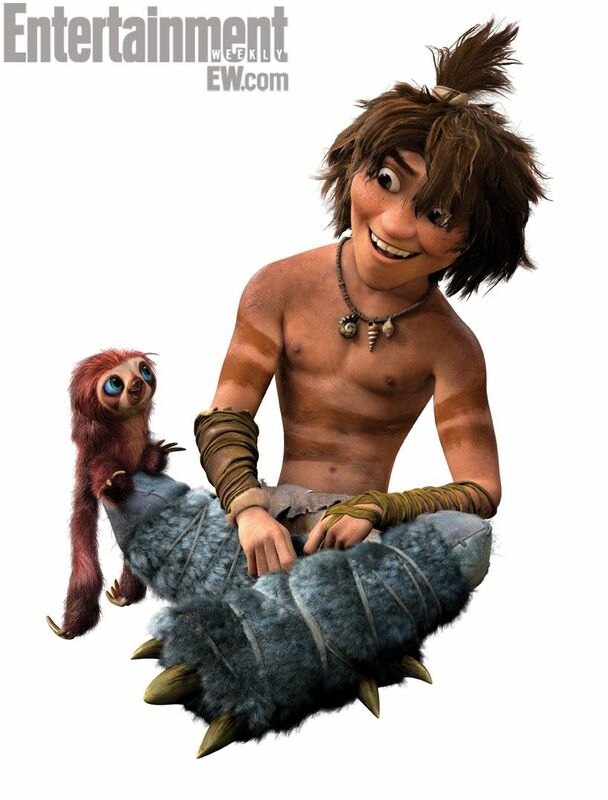 We brought you coverage on The Croods earlier this year from Comic-Con 2012 where DreamWorks Animation chief creative officer Bill Damashke and supervising animator James Baxter talked about the backstory and progress of the film. Now we have some new polished images of the family members as well as more meat to fill out each character. 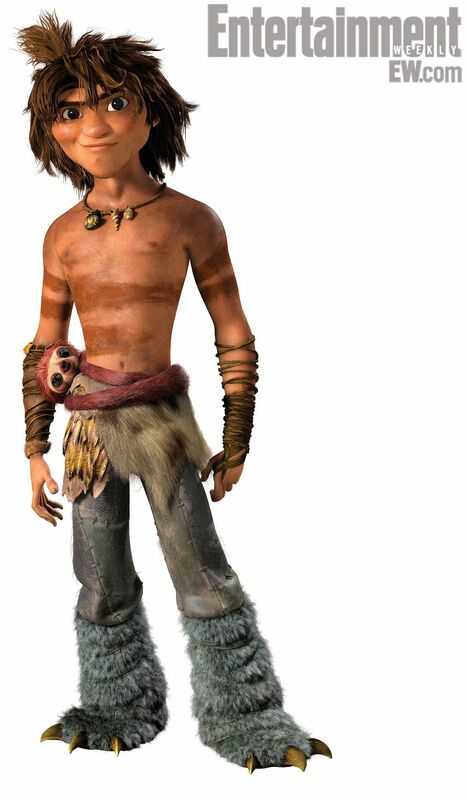 The Croods, written and directed by Kirk De Micco (Space Chimps) and Chris Sanders (Lilo & Stitch) and featuring the voices of Ryan Reynolds, Emma Stone, Nicolas Cage, Catherine Keener, Cloris Leachman and Clark Duke, opens March 22nd, 2013. Hit the jump to check out the new images and character descriptions. “Like a human lighter,” DeMicco adds. Guy and Eep form a romantic pairing which, as Sanders says, “ is really Grug’s nightmare. Guy is full of ideas. Croods don’t really have ideas.” Guy apparently wins Eep over by introducing her to life outside of a dark cave and that evolutionary weak point of women: shoes.